We also rent chairs, tables, tents & back yard games see our Party Extras Page for more details and pricing. 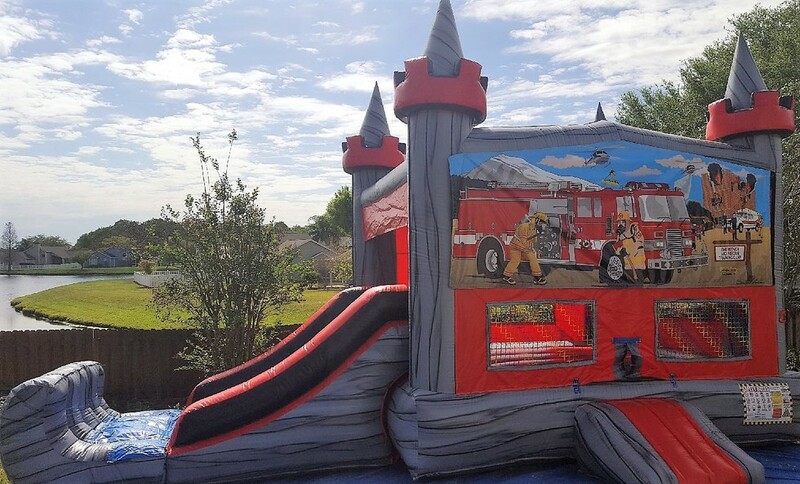 This unit has a bounce area, a climb area, a slide and a Basketball hoop inside. NICE!! 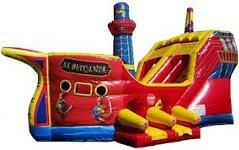 To rent this unit wet go to the Water Slides & Water Combos page. 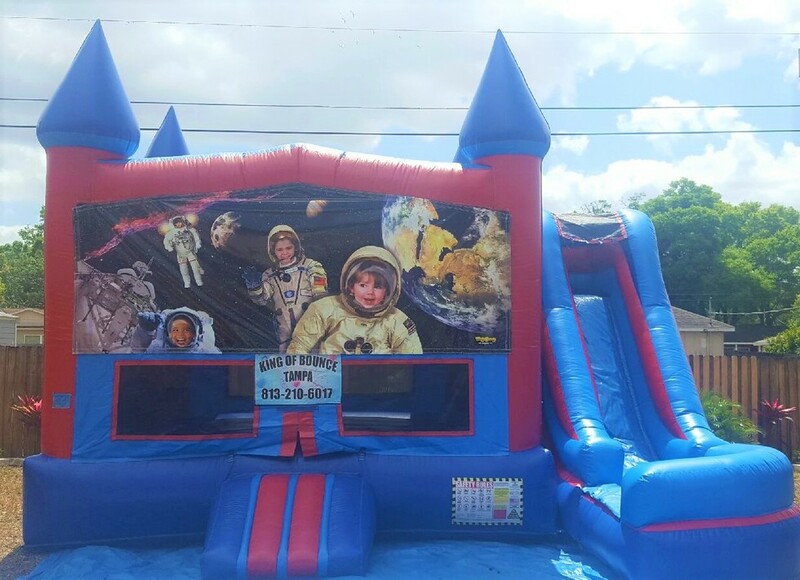 Rent this unit wet for $30.00 more. 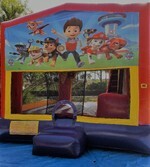 This unit has a bounce area a climb area a slide and a Basketball hoop inside. 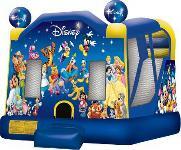 This unit holds the Disney Princess, Frozen, Mermaids, Dora, Strawberry Shortcake, Luau, and Happy Birthday Banners. 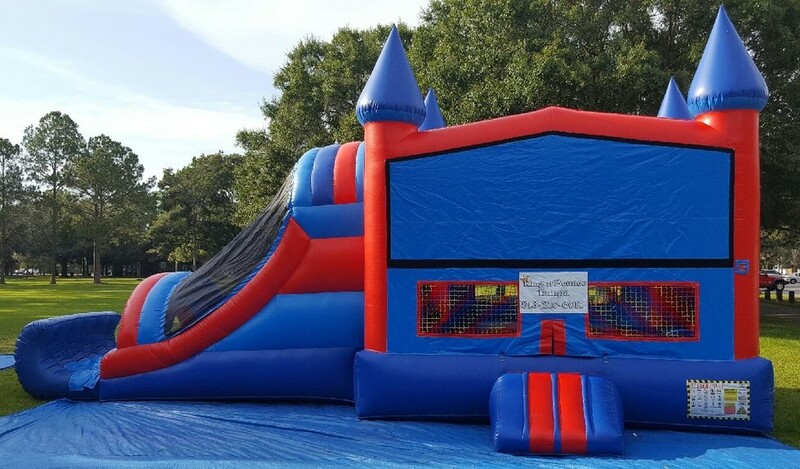 This unit has a Dual lane slide, a Bounce area a climb area and a Basketball hoop inside. 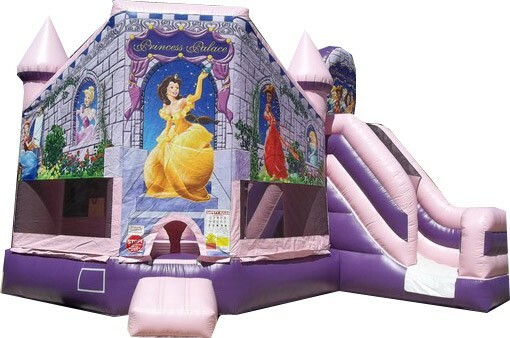 Pefect for the Princess and all her friends. Banner for front of unit. 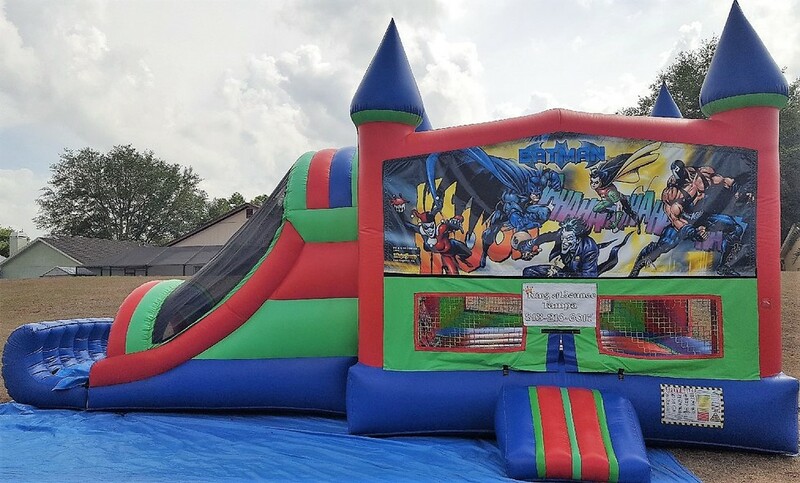 Rent this unit wet on our Waterslides & Water Combos page. 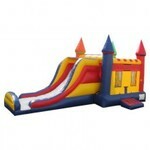 This unit has a climb area, a slide, also a Basketball hoop and a bounce area. 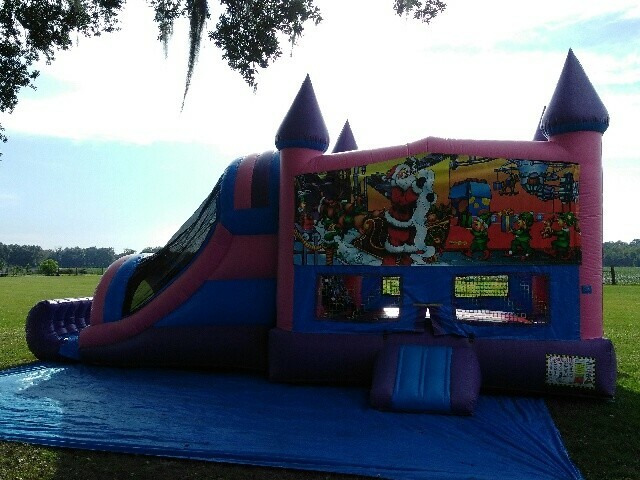 This unit can be rented ( Wet ) See the water Combos page. 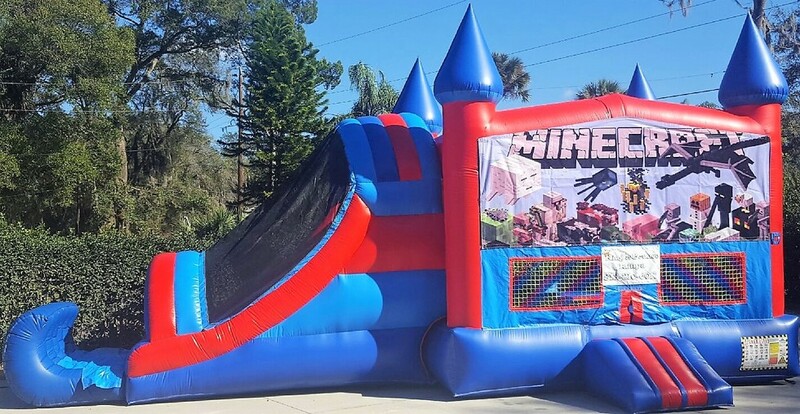 This unit can be rented wet,go to the Waterslides & Water combos page to reserve it. 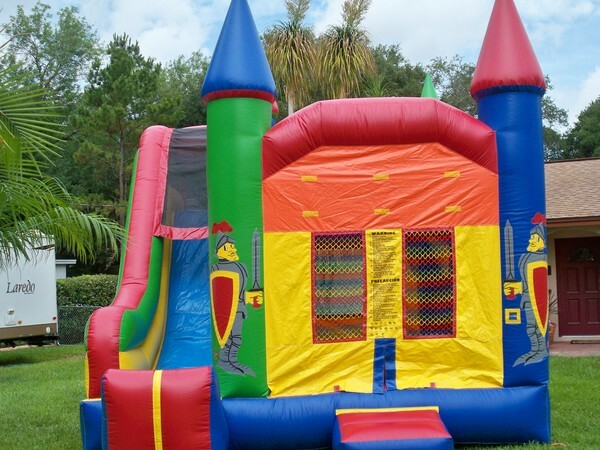 To rent this unit wet, go to our Waterslides & Water Combos Page. 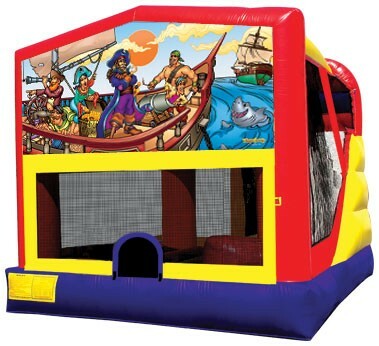 Keep all the little Pirates entertained for hours. 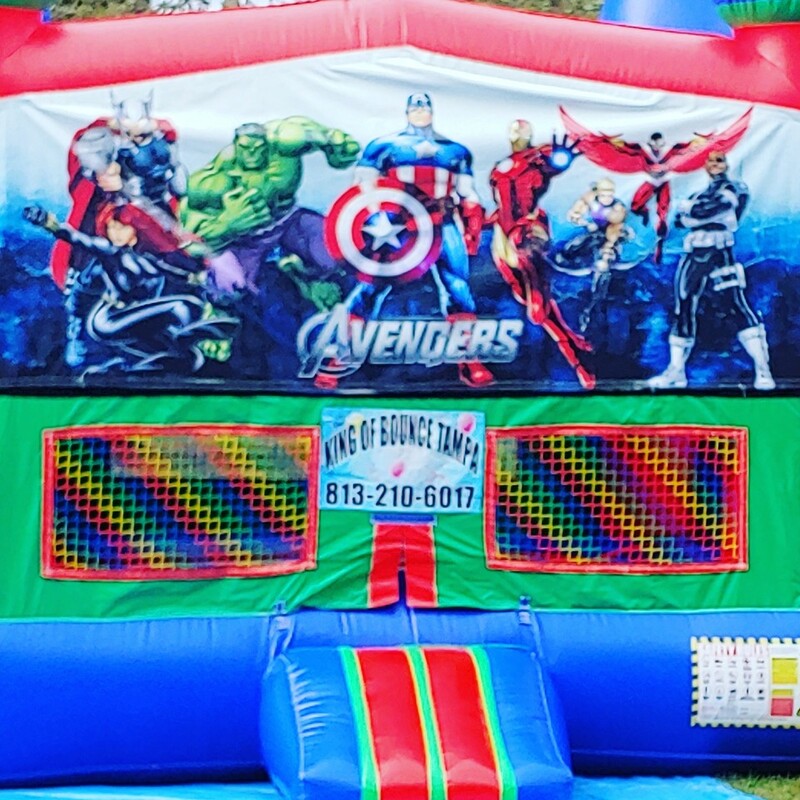 Rent it plain or with 1 of over 30 Different Banners including Frozen, Sponge Bob,Batman, Superman,Pirates,Luau,Birthday, Incredeibles,Princess,Dora,Strawberry Shortcake, Mermaids, Sports and Angry Birds Banners. 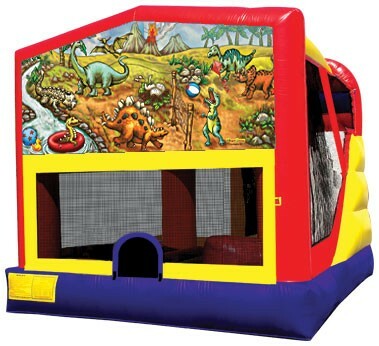 This unit has a Bounce area,a climb area, a slide and a Basketball hoop inside. This unit will hold any one of 8 different girl theme banners. 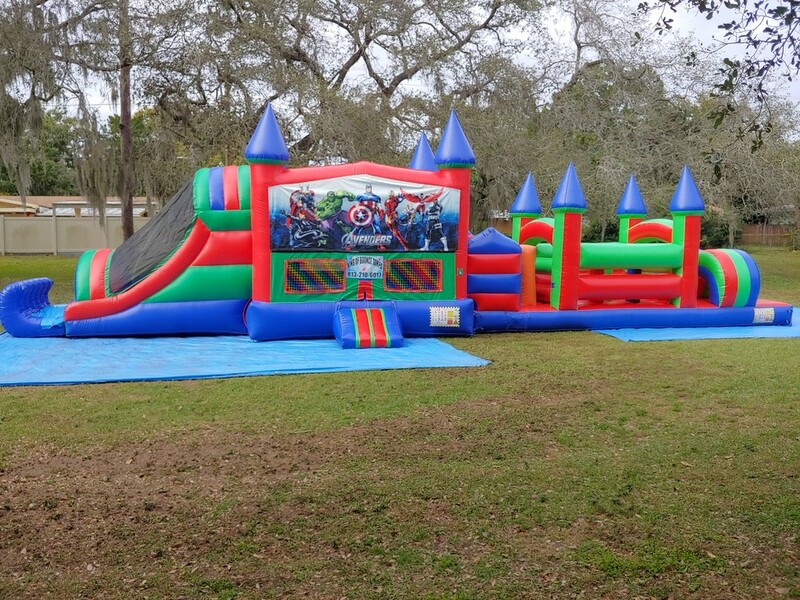 This unit can be rented ( Wet ) See the Water Slides & Water Combos page. This unit can be rented wet or dry, go to the Waterslides & Water combos page to reserve it wet. 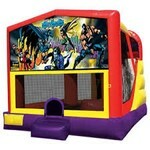 This unit has a bounce area a climb area a Dual lane slide and a Basketball hoop inside. 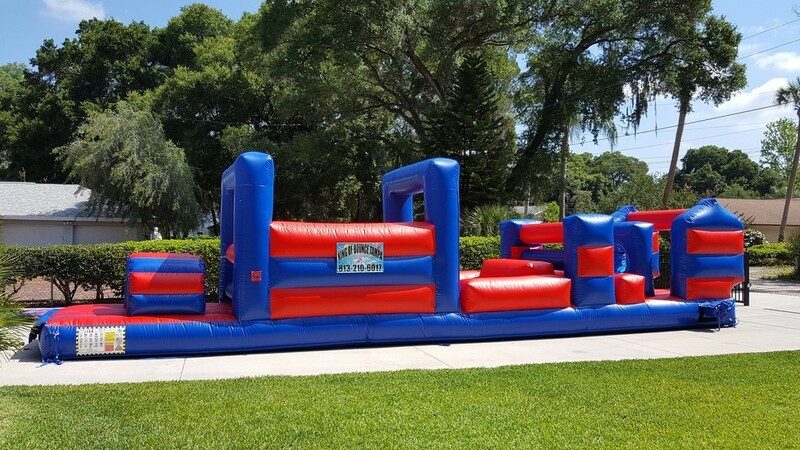 This unit can be rented wet, go to the Waterslides & Water combos page to reserve it wet. Climb area up to the slide. 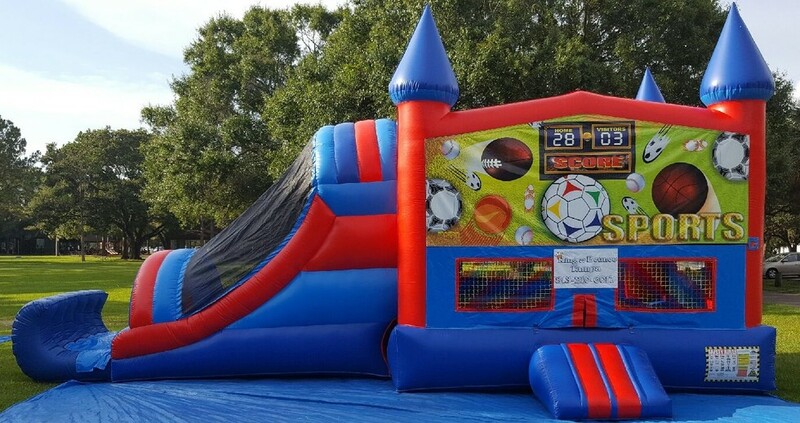 Bounce Area & Basketball Hoop. This unit requires 2 different electric circuits at your home. 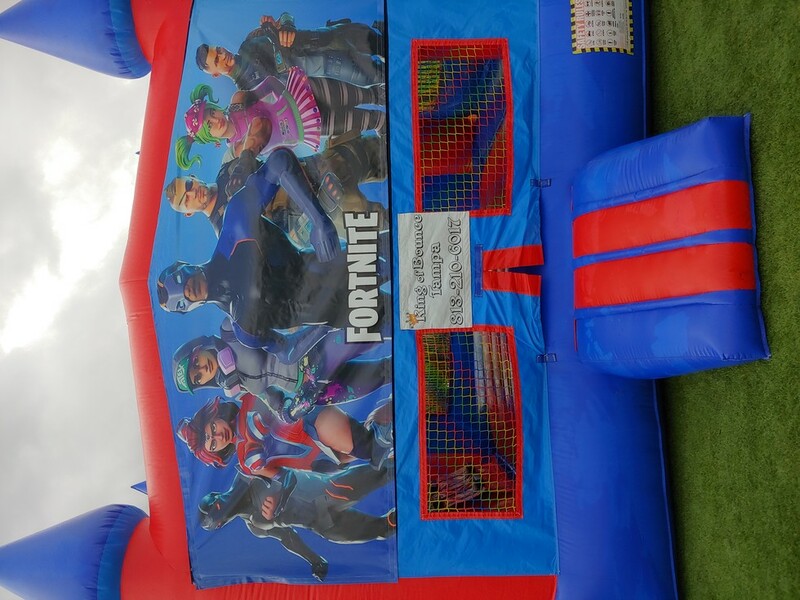 It will require a large generator if its at a park or event. This unit comes with 2 blowers. If set up on concrete or an area that we cannot drive stakes into the ground it will need sand bags added to the order. 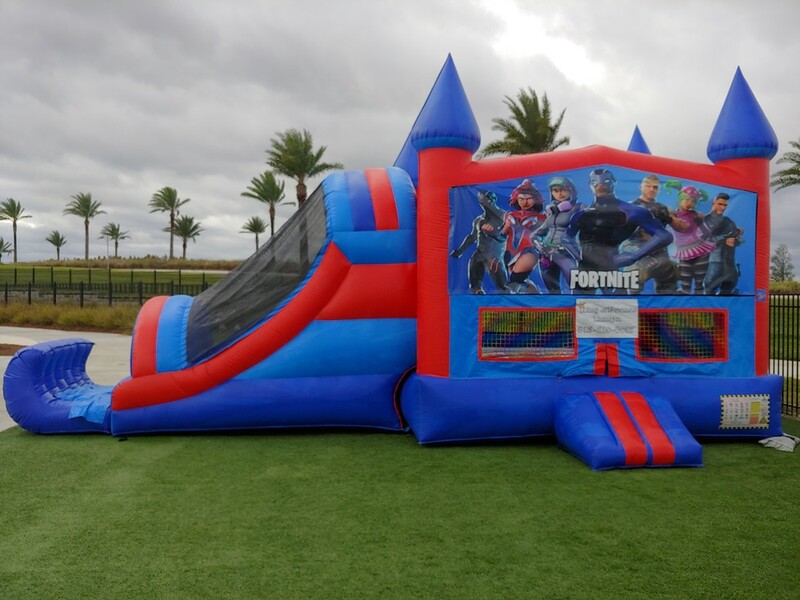 Try out our new Birthday Combo for your next party! Rent this unit wet for $30.00 more. 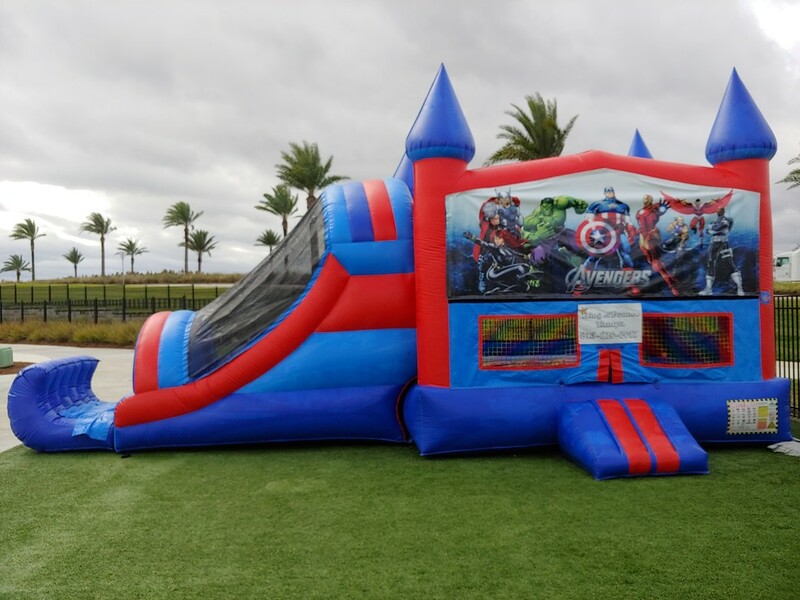 Go to our Water slides & Water Combos page to reserve it wet. 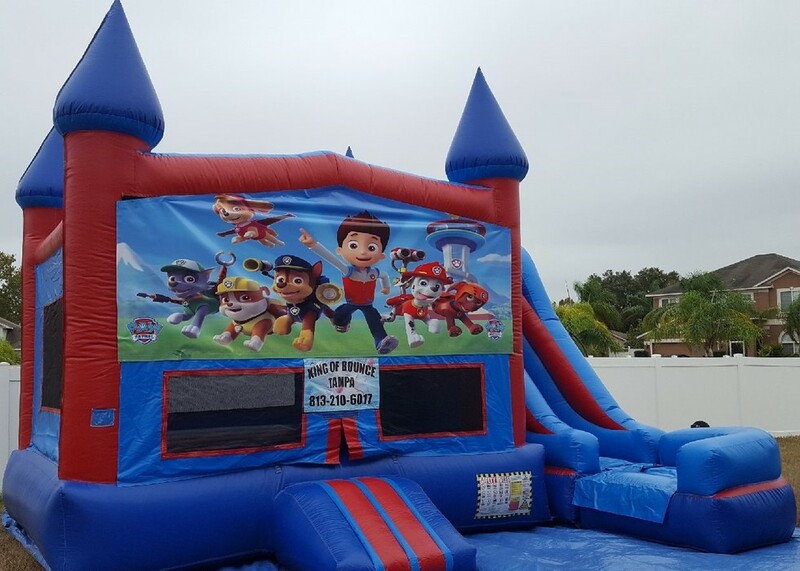 This unit holds over 30 Banners Including the Robo Cars, Frozen, Sponge Bob, Batman, Superman, Pirates, Luau, Birthday and Angry Birds Banners. 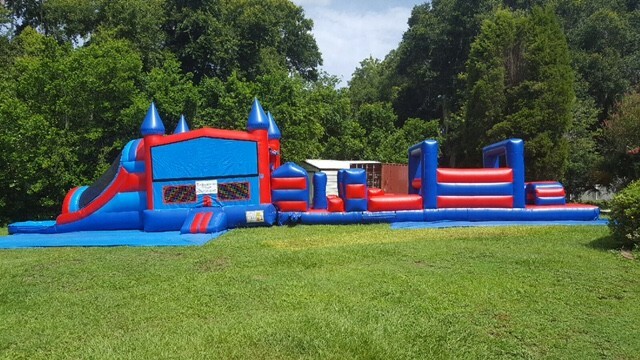 This unit can also be rented (Wet) See the Water Slides & Water Combos page. 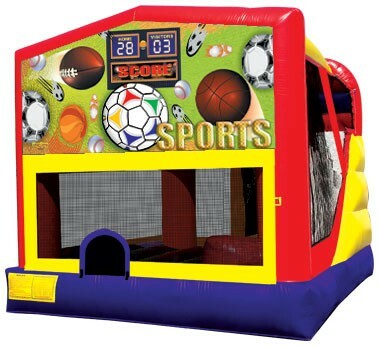 This unit has a Bounce area,a climb area,a slide and a Basketball hoop inside. 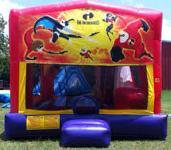 Check Out Our Interactives Page for Clown & Circus type games for your Party. 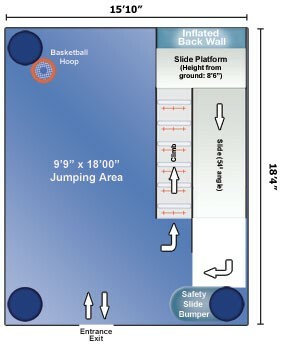 This unit has a Bounce area, a climb area, a dual lane slide and a Basketball hoop inside. 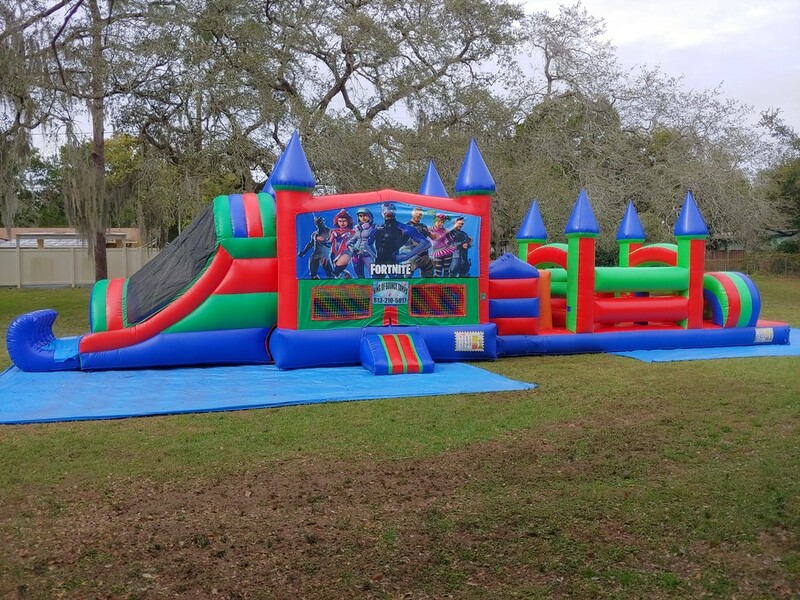 This unit can be rented wet or dry. 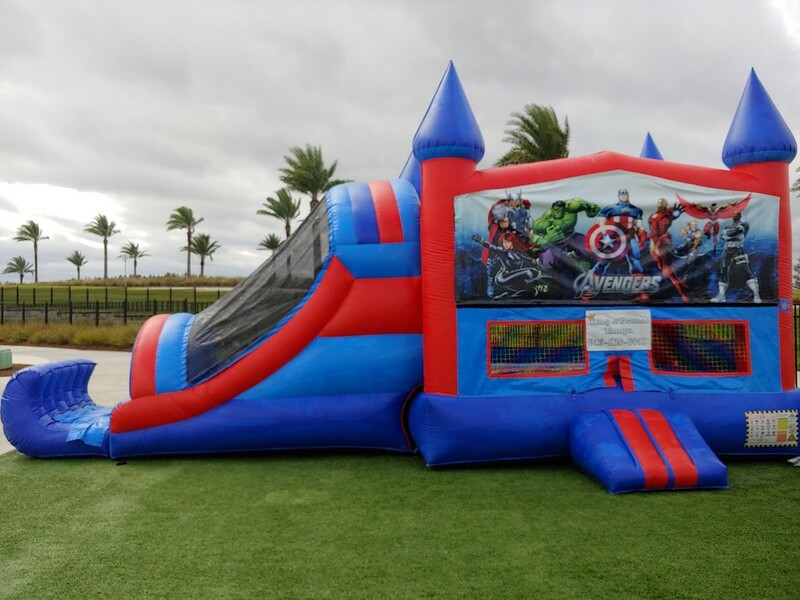 See our waterslides & water combos page for pricing and reservations on water products. 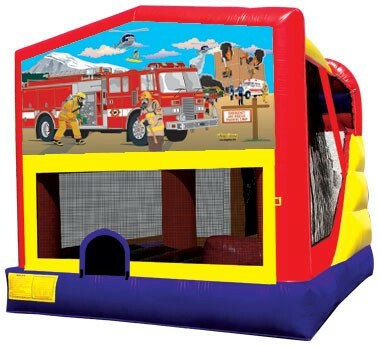 This unit has a climb area, slide and a bounce area. (This is a dry unit.) Unit runs on a 2 H.P. Blower and needs a 20 amp circuit, standard in most homes. 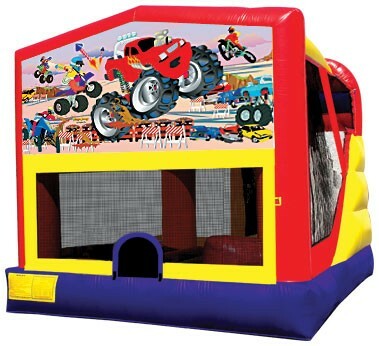 This unit can be rented Wet. See our Water Combos & Water Slides Page to reserve. 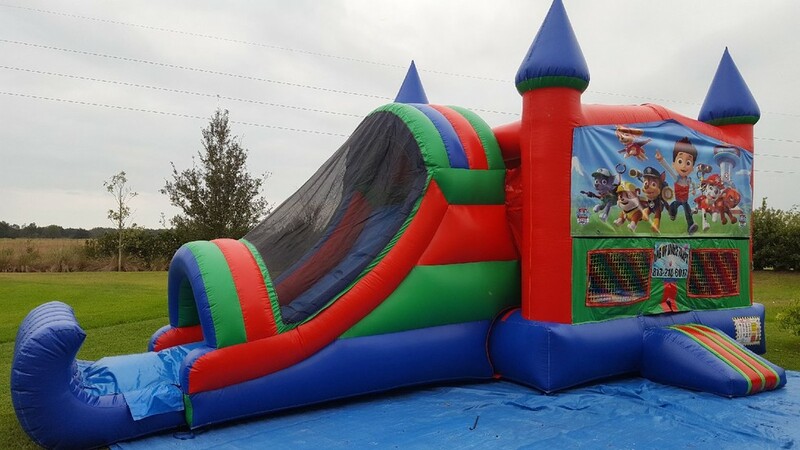 Rent this unit wet for $30.00 more! 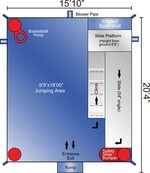 Layout Plan of Inside unit. 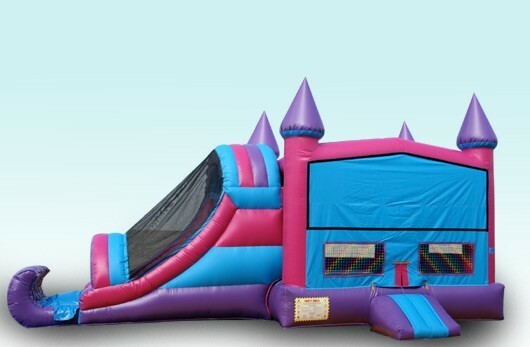 To rent this unit Wet go to the Waterslides & Water Combos page. 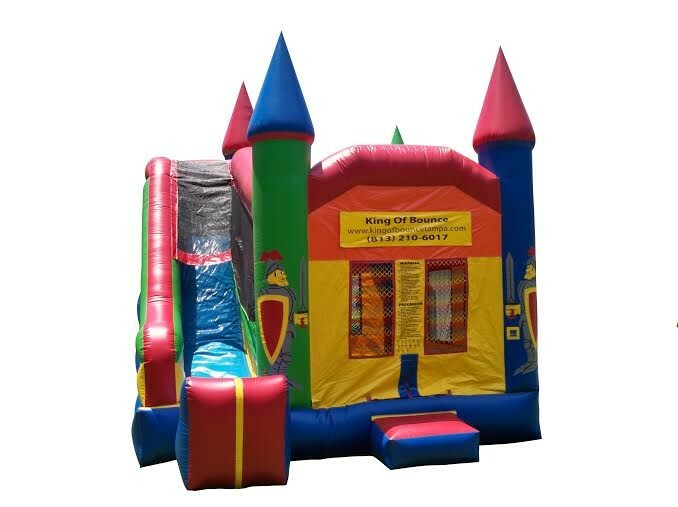 This unit can be rented wet, Please go to our Waterslides & Water Combos page reserve it Wet. 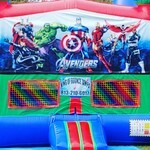 Rent it wet on the Water Slides & Water Combos Page. 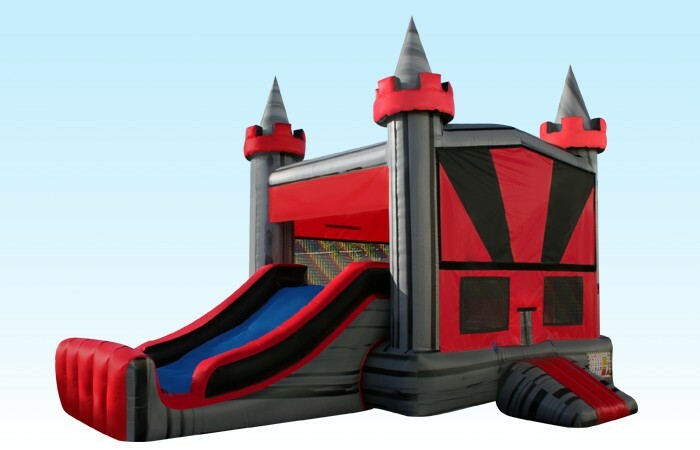 This unit has a bounce area,a climb area,a slide, and a basketball hoop inside. 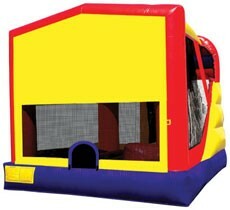 This unit can be rented Wet. 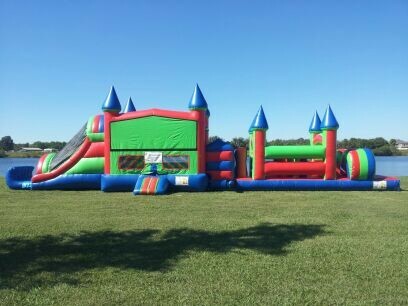 Go to our Waterslides & Water Combos Page. This unit will also hold any one of 8 different girl theme banners. Please check availability on the Combos page to see if the unit you are reserving is available and put the name of the unit & concession in the notes box when ordering online. A view with pool attached. 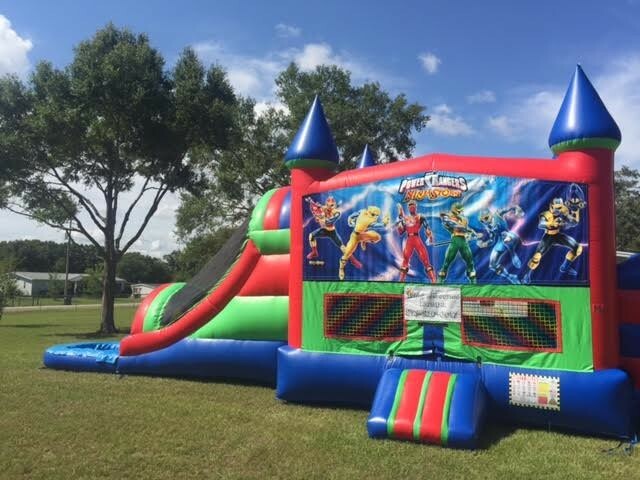 Go to the Waterslides & Water Combos page to rent it wet. This unit requires 2 different electric circuits at your home. 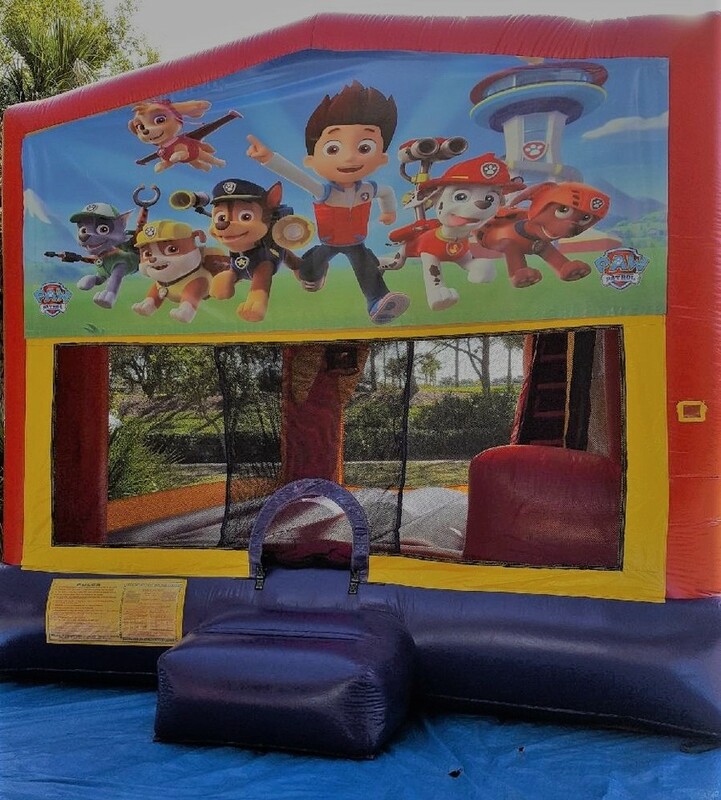 It will require a large generator if its at a park or event. This unit comes with 2 blowers. If it's set up on concrete or an area that we cannot drive stakes into the ground it will need sand bags added to the order. 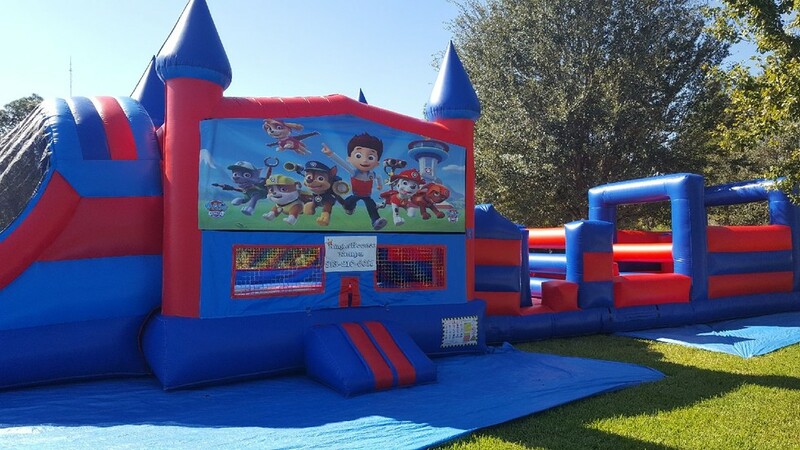 The little ones love this unit. 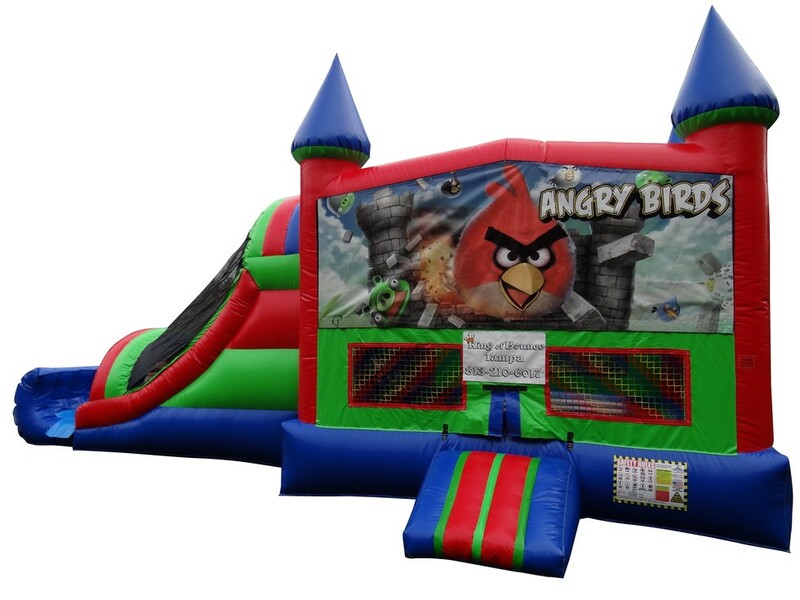 To rent this unit wet go to our Waterslides & Water Combos page. 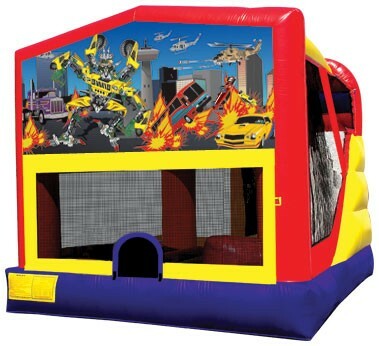 For the kids who love Transformers ! 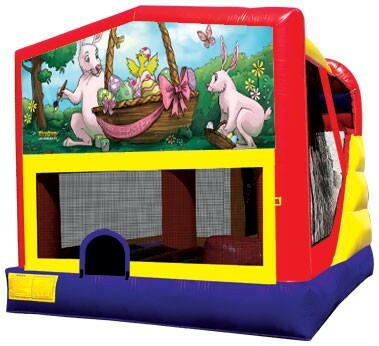 This unit has a bounce area a slide along with a climb area and a Basketball hoop inside. 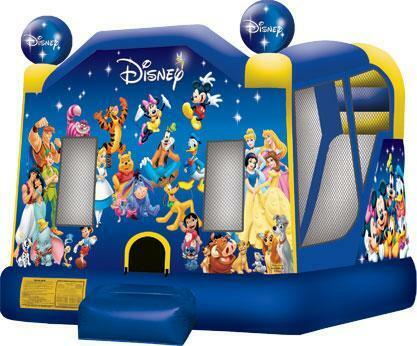 (Basketball not provided) To rent this product Wet go to the Waterslides & Water combos page. 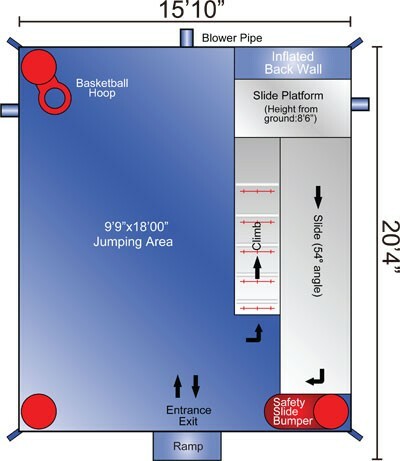 Inside look at Climb area. 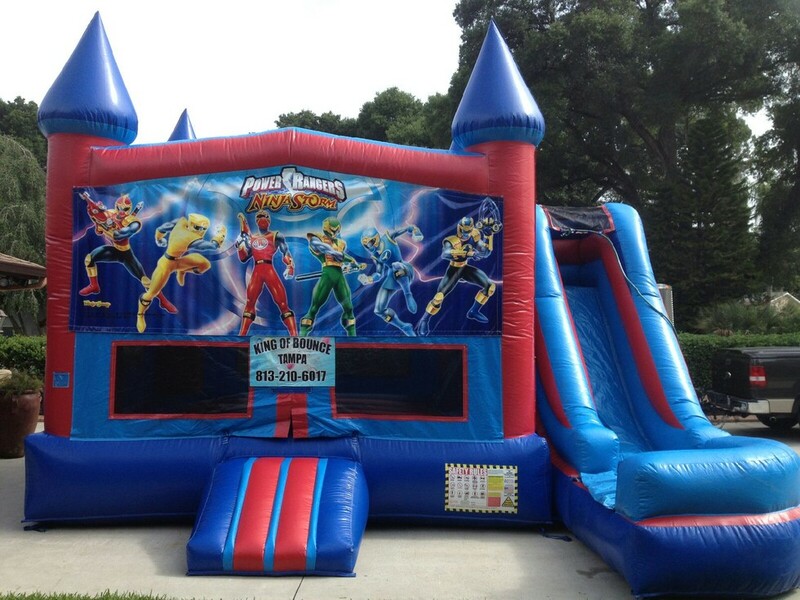 This unit can be rented as a water combo as well. Ask us for more details.